Over the course of a week, EWG highlights five important reasons to skip bottled water and opt for filtered tap water instead. 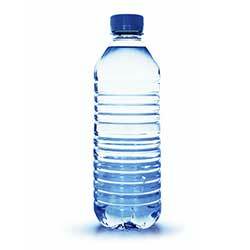 The FDA has disclosed which chemicals can be used to make PET plastic, the plastic used in bottled water. But does anyone know how many of those chemicals are leaching into your bottled water and, more importantly, if they could affect your health? Just one reason to avoid drinking bottled water. Learn more. 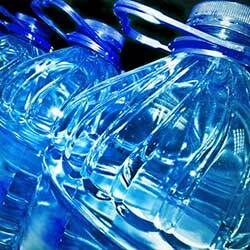 EWG found 38 pollutants in 10 brands of bottled water, including chemicals linked to cancer. Our tests show that the purity of bottled water cannot be trusted. Yet another reason to avoid it! Learn more. Think all plastic bottles get recycled? Think again. 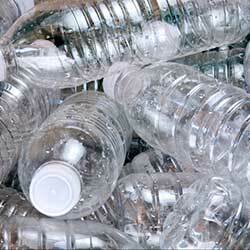 According to EPA, we recycle about 30% of our PET plastic bottles. This means that about 70% of them end up elsewhere, including beaches and the ocean, polluting sensitive ecosystems. Help stop waste! Use a reusable container instead. Read more. It’s Thirsty Thursday! What should you do instead of buying bottled water? 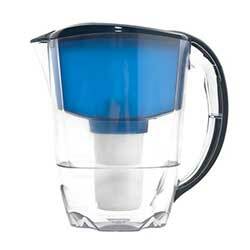 Filter your tap water and use a reusable bottle! Read more. You’d think that purity should be guaranteed when you pay 1,900 times more for bottled water than tap water. Unfortunately, it isn’t, so why waste the cash? Filter your tap water instead and let the money saving begin! Read more. Learn something new during Water Week? Support EWG's work!